I would put the world at about say sometime in 2014. It's at least after the First Great War as evidenced by the destroyed YOBA mountain fortress. Does someone remember if Elysium was in second world? If so do you also know where it was located on the map? 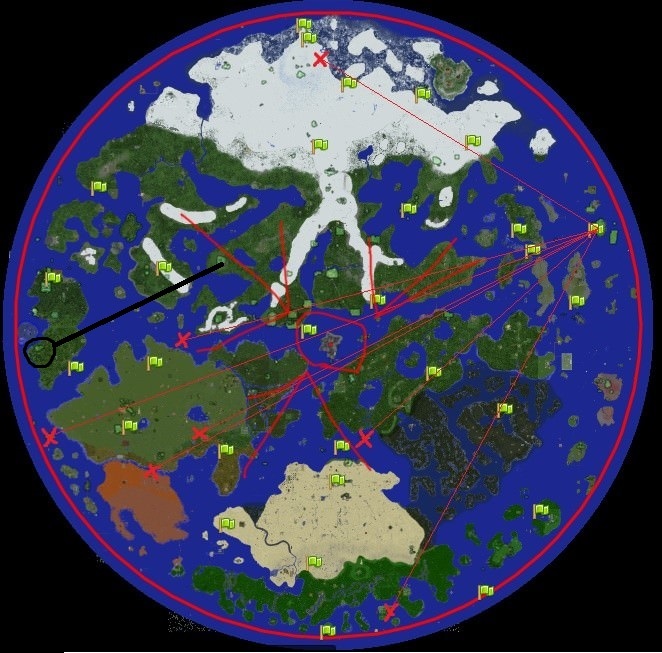 The midpoint is in the water just north of Dragon Island and the map is 5000 blocks in every direction from that point.